A school bus driver is facing serious charges — including drunk driving and kidnapping. According to The Boston Channel, the driver has officially been charged with reckless endangerment of a child, kidnapping and operating under the influence. He is accused of picking up a student at the Perkins School for the Blind just before 5:00 p.m. but not taking him home. The boy wasn’t home by 8:00 p.m. and both parents and officials started to worry. His parents called the police. Officers tried to get a hold of the man on his cell phone, but no one picked up. Eventually, long after he was scheduled to, he arrived at the boys home. It was then that officers placed the driver under arrest. Thankfully, the boy was not injured. The Massachusetts Department of Transportation (MassDOT) reports that the type of school bus that the man was driving required a 7D driver’s license. He didn’t have that license and his application was denied because of the results of Criminal Offender Record Information (CORI). He is currently being held on $50,000 bail. Our Boston child injury lawyers understand that we send our kids off to school every day trusting that they will get to and from school safely. We don’t oftentimes think that the school board would hire an under-qualified driver. The truth of the matter is that, unfortunately, not all drivers have your child’s safety in mind. 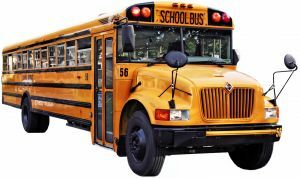 To operate a school bus in the state of Massachusetts, drivers are required to have a Commercial Driver’s License (CDL). This license is required to have a School Bus (S) Endorsement and a Passenger (P) Endorsement. A School Bus Driver Certificate is valid for one year. It expires every year on your birthday. To get an initial license, or to renew your current license, you’re required to complete a new CORI check, a new SORI check and a new driving record check. If you’re a bus driver who is over the age of 69, then you’re going to be required to renew your driver’s license every six months. -You must pass a DPU road test. -You have to pass the RMV written exams. -You must have a clean driving record. -You must pass a physical exam with the Department of Transportation. -Must Pass a Sec Offender Registry Information (SORI) check. -Must have three continuous years of driving experience. Each day, there are more than 20 million students across the nation who rely on the big, yellow bus to get them to and from school. It’s important that we ensure that they’re riding in safe vehicles with safe drivers! If you or your child has been in an accident in the Boston area, contact Massachusetts Accident Lawyer Jeffrey S. Glassman for a free and confidential consultation to discuss your rights. Call 1-877-617-5333.